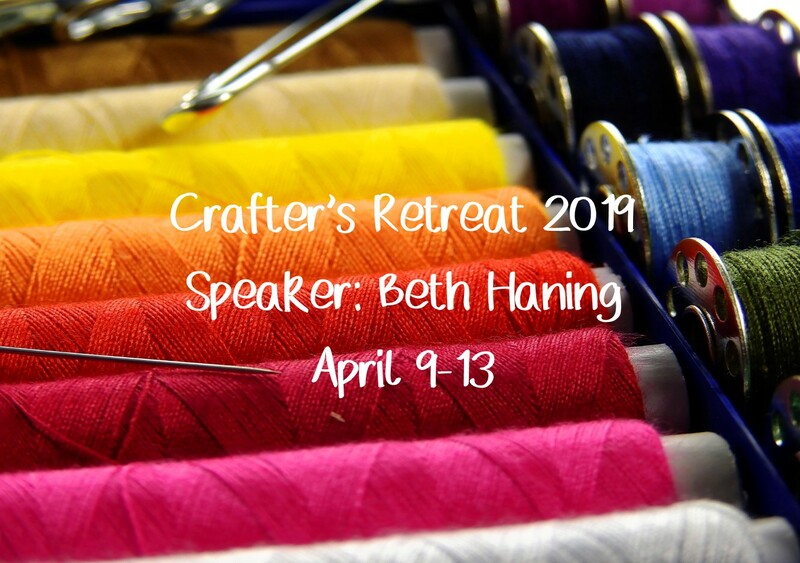 Reserve your spot at the Ladies Crafter’s Retreat! Ladies… come and enjoy a great time of fellowship, food, crafting and time in God’s Word! The retreat will begin on Tuesday with supper and end Saturday with a big brunch but you are welcome to come at any time throughout the week! The cost for Tuesday through Saturday is $150, Thursday through Saturday is $90 and we will pro-rate the cost if you come somewhere in between. Bring your machines… sewing, quilting, spinning or whatever it may be… and have a great time being creative, enjoying the fellowship and being challenged from the Bible. 4355 S. Old Glenn Hwy. * Fellowship Sundays are on the 2nd Sundays of each month. We have a fellowship meal and a short afternoon service with no evening service.